Does your ecommerce site attract visitors but fail to convert enough into paying customers? 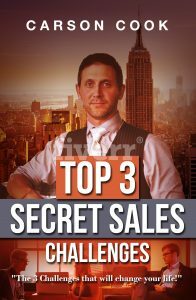 Are your sales numbers not where you want? Have you got an ecommerce site but not yet spent any time on improving the design? If it’s time to upgrade your website’s user experience then Designing Ecommerce Websites is the only book to tell you exactly how to do it. It provides you with 66 guidelines on how to best use every element on each each step of the online shopping process. 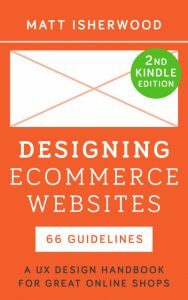 This book is the result of a decade’s worth of UX design experience, and several years spent consulting with a wide range of different ecommerce startups. It is based on knowledge learned from user behaviour data and running many different usability tests. It tells you what works in reality, not in theory. All of the content refreshed and rewritten for 2019, with more added to make a total of 66 guidelines (12 more than the first edition). This book is bargain priced from 04/20/2019 until 04/22/2019. Given the abundance of commercially available energy-saving technologies, talented technologists to apply them, and even generous rebates to help finance them, why in the world aren’t more efficiency projects approved? Based on twenty years of experience influencing efficiency decision-making in more than three billion square feet of properties, this author concludes that many more projects would be approved if energy professionals were actually trained to “sell” rather than simply “promote” efficiency. 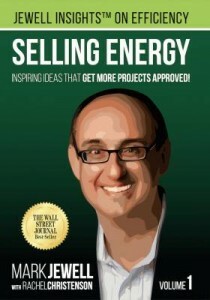 This book contains more than 80 short essays, each of which examines a unique aspect of efficiency-focused professional selling. Many originally appeared on Jewell Insights, the Efficiency Sales Professional Institute’s daily email and smartphone blog that offers drip-irrigation reinforcement of concepts borrowed from the award-winning, weeklong Efficiency Sales Professional™ Certificate Boot Camp.